Energy research and development is on the move. 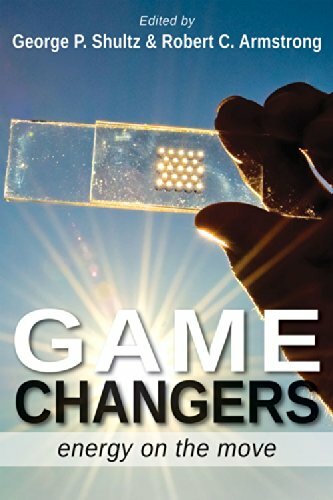 The Energy Game Changers initiative highlights historic and current effects of research efforts from universities across the US as they deliver a cheaper, cleaner, and more secure national energy system. Revolution is a strong word that is genuinely applicable to the field of energy today, both in the way it is produced and the way it is used. The challenges ahead are compelling and the sooner we take advantage of our resources and our capacity for innovation, the brighter our future will be. The purpose of the Stanford-MIT Energy R&D Game Changers project is to highlight new ideas for how to produce and use energy in a careful way. We at Stanford University, MIT, and other leading research centers have joined together to recognize new, important, and potentially game-changing energy technologies. Twenty-five scientists convened at Stanford’s Hoover Institution in 2011 to review specific projects. The group met again the following year at the MIT Energy Initiative (MITEI). Some of the most compelling results from those meetings were presented at a conference cosponsored by Hoover and MITEI in Washington, DC, in March 2013. Get the book. Now available. potential blockbuster technologies down the road that hold real promise of major importance. All of these ideas are portrayed against the backdrop of our three key objectives: national security, economic well-being, and an improved environment. As Energy Secretary Ernie Moniz said when he was director of the MITEI, there is tremendous research capacity in the United States and elsewhere to carry out aggressive work on this important agenda. The United States needs to exploit this capacity by devoting scientific, engineering, and entrepreneurial resources to the energy area on an unprecedented scale. The fruits of this research and development, combined with the creative juices of the American entrepreneurial culture, will shape our future.